There are some things in life which are certain. The sun rises in the east, night follows day and North Warwickshire win the seniors at Pony Club polocrosse. However, judging by the results of the Bombers Arena Challenge in 2019, soon the sun may rise in the west and we may be engulfed in perpetual darkness as, after two days of competition in the Dallas Burston Super arena, North Warwickshire lost the title they have held for the last three years, indeed since the competition’s inception in 2016. The team that displaced North Warwickshire at the top of the podium was the Romney Marsh, a very strong team consisting of three players who have all played in the last two Home Nations; Jack Brown, Alex Brown and Hamish Gillanders, albeit for two separate Nations in Wales and Scotland. They made the long journey up from Kent and headed back with the title of Open Seniors champions, as they proved too strong for the Ledbury Hunt and a combined East Cheshire and Oakley Hunt West team on Saturday and then defeated North Warwickshire on Sunday. North Warwickshire were not without their own Home Nations stars, Katie Loutisou and Danny Woodward have both played for England and also played for the UK against Australia in 2018. They combined with Amy Harper they fought hard to try and hold the Romney Marsh team in the first chukka. However, in the second chukka Romney Marsh stretched their lead and though North Warwickshire fought back in the last it was not enough. Alex Brown also picked up best male player for the overall tournament and the three Romney Marsh players picked up all three of the best numbers. Best horse went to Queenie owned by Josh Smith of the Ledbury Hunt. There was a record number of entries at the tournament this year and so both the Senior and Junior grades were split into Open and Intermediate levels. In the Intermediate seniors it was a very close final between the Ledbury Hunt and Rockwood Harriers. Both teams had won their respective pools and when they met in the final there was very little to separate them, as they traded goals and the lead throughout the three chukkas. 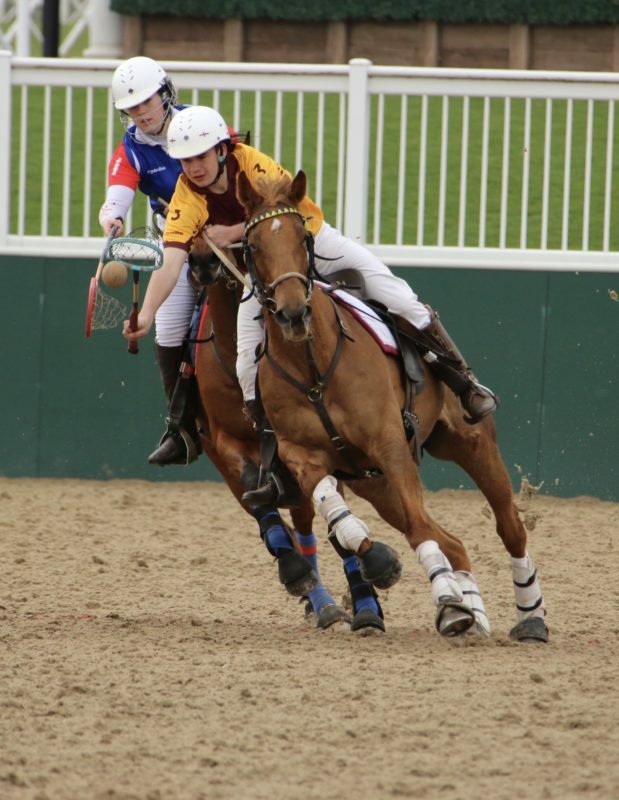 There was some excellent play from all six players and their horses; Rosie George, Masie Slight and Jack Smith of the Ledbury and Paige Wilson, Eve Thomason and John Ferguson for Rockwood. In the final chukka Rockwood took a one goal lead but Ledbury equalised and then scored once more shortly before the hooter to take the win by a single goal. Rosie George won the best female player for the tournament and also won best number 1 for the grade, while her horse Meow picked up best horse for the intermediate seniors. Best number 2 went to John Ferguson and Best number 3 went to Paige Wilson. In the Open Juniors there was another new champion as the United Pack won their first Open Juniors competition. Phillip Watney, Jess Clark and Charlie Evans managed to overcome all the other teams in the grade over the weekend to win the grade. Warwickshire Hunt finished in second after they managed to defeat their local rivals North Warwickshire in a hard fought game on Sunday morning. Will Holland of the Warwickshire Hunt won best number 1 for his strong performances over the weekend and his horse Kira picked up best horse, while Katie Davies of the Flint and Denbigh won best number 2 and Charlie Evans won best number 3. In the Intermediate Juniors the winners were the team who had had the longest journey to the tournament. 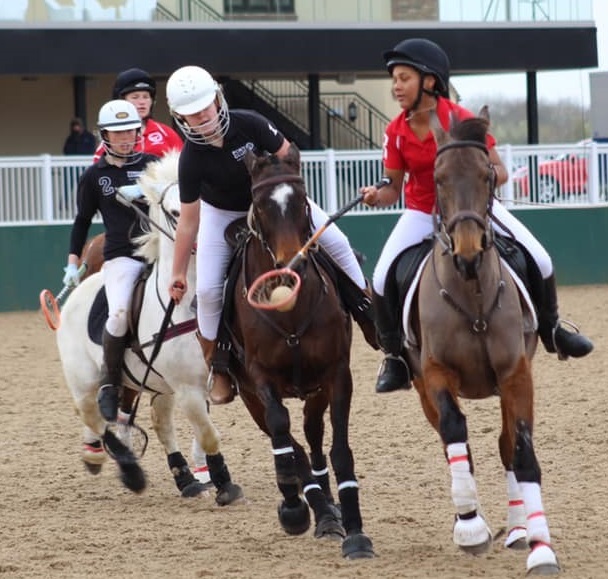 The Area 17 team of Rachel Dominy, Bonnie McCallum and Ashleigh Saunderson travelled over from Northern Ireland and were playing on borrowed horses but still managed to come out on top. They beat the United Pack and Banwen and District teams on Saturday and then overcame a combined team of Xanthe Goodman (Essex Hunt North), Emma Schuffam (United Pack) and Georgie Wasdell (Warwickshire Hunt) by 8 goals to 6 on Sunday. Xanthe Goodman won best number 1 and her horse Cookie won best horse in the grade. Bonnie McCallum and Ashleigh Saunderson won best number 2 and number 3. In the Minis grade it was a win for another combined team as Lottie Wilson Fitzgerald (Oakley Hunt West), Taryn Tinker (Essex and Suffolk) and Polly Walton (East Cheshire) emerged victorious. They pushed the Flint and Denbigh team of Daisy Stone, Isabella Stone and Leia Lloyd Willaims into second place. Third place went to the North Warwickshire of James Dawson, Isaac Flint and Keeley Rock and fouth place to the Dinas Powis team of Isabell Lewis, Evie Herbert and Ruby McCarthy. Second, third and fourth places were all decided on goal differences as those three teams drew on points after they traded wins and losses against each other evenly over the weekend. Leia Lloyd Williams won best number 3 and her pony, Romance, won best pony. Lottie Wilson Fitzgerald won best number 1 and Polly Walton best number 2. There were also two awards for best sportsman and sportswoman. These went to Keegan Jacobs and Leia Lloyd Williams for their fair play over the weekend. Overall, it was another great weekend of play and showed that Pony Club polocrosse in the UK is continuing to grow well and the standard of play improving all the time. The Home Nations is back on again in July this year, with nominations due by the end of April and teams due to be picked in May. If the Arena challenge is anything to go by then it should be an excellent event.